Brown eyes crinkling with laughter, Willie is reciting his 1954 radio mantra as he unwinds on his famous Honeysuckle Rose tour bus. ”When I was a Texas deejay, that on-air intro made it hard for listeners to mix me up with anyone else,” he tacks on with a chuckle. Talk about your understatement. 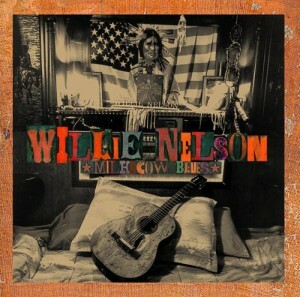 As Willie has rolled down life’s highway doing things his way and no one else’s, not one soul has ever mistaken his distinctive nasal-tinged Texas twang for anyone else’s. Not even the ones who, early on, loved his songwriting and hated his voice, declaring he’d never make it as singer. 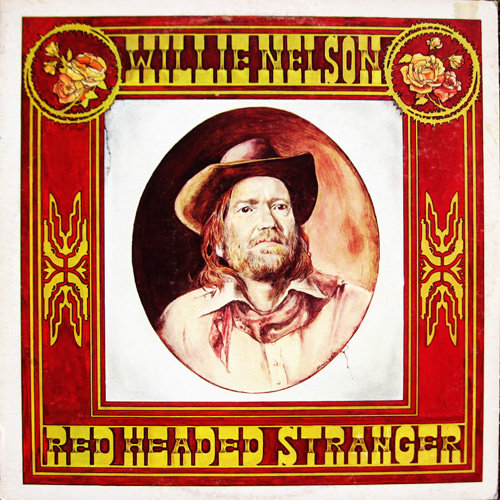 In a recording career spanning five decades and more than 100 albums, Wille made history with Red Headed Stranger, the ground-breaking Old Westconcept album his record company originally “didn’t get”—but the rest of the world did—andWanted: The Outlaws, the first country album to sell a million copies. His collection of pop standards, Stardust, was on the Billboard charts for an incredible 11 years! Willie’s sang with just about everybody: Frank Sinatra, Luciano Pavarotti, Dolly Parton, Ray Charles, Julio Iglesias, Bob Dylan, B.B. King, George Jones, Leon Russell and Lefty Frizzell. And, as part of the Highwaymen, he recorded and toured with Johnny Cash, Waylon Jennings and Kris Kristofferson. Whether you know him as a singer, songwriter, actor, champion of American farmers, the fella who elevated Fourth of July picnics to an art form, or the industrious chap who recorded The IRS Tapes/Who’ll Buy My Memories album to pay off back taxes, Willie has always been as unique as a fingerprint. Even though his face reflects the chiseled character usually embossed on a nickel, Willie is completely unassuming. He’s just plain ol’ Willie, still the kid from Abbott, Texas, who made it out of the cotton fields. It’s clear he’s as comfortable hanging out with cowboys as with kings. He’s certainly done it all. Along the way, Willie’s kept grounded by creating two worlds. One is the bus adorned with the “Comanche At Sunset” mural that’s parked this steamy night outside Fort Worth’s famous mega-honky tonk Billy Bob’s Texas, where the bandana-wearing songman has just slap-dab wore out a wall-to-wall crowd with a rollicking two-hour concert. The bus lets him live out every word of “On The Road Again,” the anthem he wrote on the back of an airline barf bag. Willie’s loyalty is legendary. He has employees who’ve been with him for more than 40 years. Until a few months ago, the “newest” member of his Family Band was a 27-year veteran. When the crew’s bus recently wracked up 1 million miles on the road, it did so with the same driver for every mile. And Trigger, the Martin guitar in which he’s worn a hole with his pick, has been his faithful sidekick for 35 years. When his home outside Nashville caught fire in 1970, Willie rushed passed firefighters to rescue a guitar case from the blaze. The case contained his beloved Trigger and a load of marijuana. “Stress medicine,” Willie clarifies. As Willie pours another cup of coffee, the conversation shifts to country music’s current battle. ”It always goes through phases,” he declares. “Right now it’s going through a slow period where everyone sounds a lot alike and the music is watered down. But somebody different will come along and wake ’em up.” Is there anyone out there giving country its wake-up call? Willie says new songs will also rise to the top, but not as many as before. 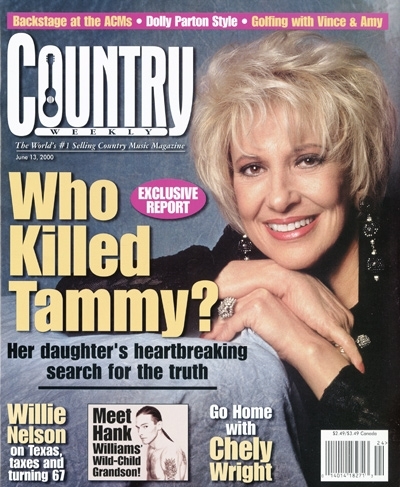 This October marks 25 years since “Blue Eyes Crying In The Rain” soared to No. 1. “If you look at all the No. 1 songs through the years, there are some that last and others that don’t. The percentage of really good songs was better in past years. ”Don’t get me wrong,” he adds. “Songwriters today are good, but I don’t think you could come up with a group to match Hank Williams, Lefty Frizzell, Floyd Tillman, Leon Payne—those guys turned out songs that’ll last forever.” And though he doesn’t admit it, so did Willie. Besides his own hits, he penned “Crazy” for Patsy Cline, “Night Life” for Ray Price and “Hello Walls” for Faron Young. Later this year, Willie hits another milestone. On September 16, he and his fourth wife, Annie, will celebrate their 9th anniversary. “We’re going to have one—I hope we celebrate,” he quips. “Just kiddin’, Annie,” he deadpans. He’s candid about what’s kept the marriage together. Willie just crossed another milestone, his 67th birthday, on April 30. Maybe so, but not in his music. To reach new audiences, he’s agreed to be one of the opening acts on the red-hot Dixie Chicks’ just-launched Fly tour. And he recently released a trio of CDs: Night & Day is his first instrumental album; Honky Tonk Heroes showcases himself, Waylon Jennings, Kris Kristofferson and Billy Joe Shaver; and It Could Have Been Tonight, a double-CD live album recorded during last year’s tour. In addition to this summer’s Milk Cow Blues, featuring Willie and such blues greats as B.B. King, there’s Willie’s tribute to Hank Williams, Memories Of Hank, coming later in the year. Along with Bob Wills and Ernest Tubb, Hank had been one of the country crooners flowing out of the Nelson family radio when Willie was a scrawny kid working the cotton fields. One day, he recalls, his fingers were aching and bloody from jabs by the razor-edged cotton bolls. His shirt was drowning in sweat as the thermometer pumped past 100 degrees. Hallelujah for country music, it did. This entry was posted on Wednesday, June 27th, 2018 at 11:11 pm and is filed under Amy Nelson, Magazines, This Day in Willie Nelson History. You can follow any responses to this entry through the RSS 2.0 feed. You can leave a response, or trackback from your own site.